I read this article and found it very interesting, thought it might be something for you. The article is called Tempted to Run Faster in Training? You Should Think Twice – Data Thursday and is located at https://runfastacademy.com/tempted-run-faster-training-think-twice/. If you are following coach’s training for your upcoming race, one of the most important advice your coach could give you is not to break the speed limit. A common misconception among leisure and even experienced runners is that faster is better. There are many reasons coach tell you to adhere to the right pace (often a range you need to follow, eg 6:00-5:40min/km) for each workout. As the name suggests the main goal of recovery workout is to help you recover from the previous workout and get your physical fresh again for the next workout. Running too fast on recovery day cause more muscle tears than fixing them. Tempo run, also known as threshold run is workout that usually last for 20-30 minutes at a consistent pace. The effort of a tempo workout should be comfortably hard, which is your 10k – half marathon pace. During tempo runs, by-products such as lactate and hydrogen ions are released into the muscles. The ions make the muscles acidic and cause muscle fatigue. The main goal of tempo run is to teach your body to become better at clearing lactate or using them by generating them as part of the fuel. If you run your tempo run too fast, you prevent your body from learning how to effectively clear lactic acid. The purpose of speed workout (some call it VO2max workout) is to develop speed and increase the amount of oxygen your body can use. In addition, speed workout has a benefit to improve your running form and muscle strength. Running your speed workout too fast may result in injury which is a nightmare for every runners. Long slow distance (LSD) workout on weekend has been a routine for Malaysia runners before they eat their favorite nasi lemak or half boil eggs. 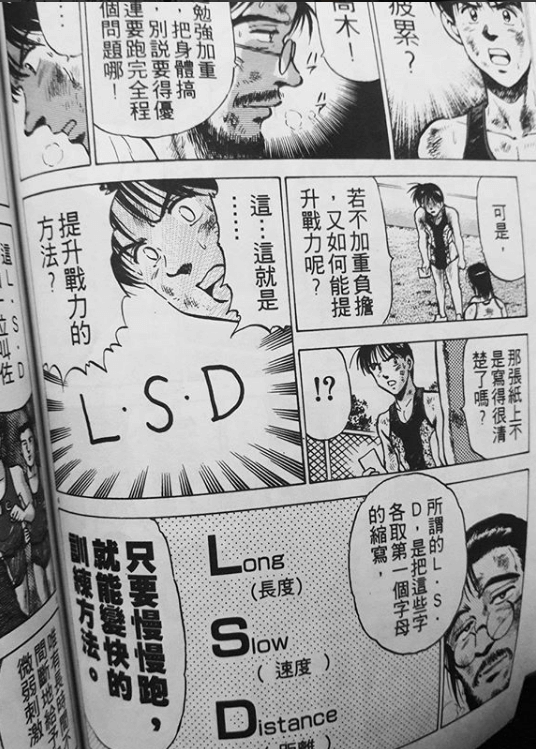 The main purpose of LSD is to improve the utilization of fat as fuel, Achilles and tendon strength, and activate more mitochondrial to produce energy. Some runners tend to run faster in LSD because they worry running too slow doesn’t give them the benefits of training. Aside from not achieving the goal of training your body to burn fat more efficiently, running faster in LSD may result in injury (especially the glute and calf muscle), which cause longer recovery and affect your next training. As you could see above, every workout as its own goal. Before you start any workout, you should ask yourself the important question “What is the purpose of today’s workout?“. This will help to ensure you run at the right pace and maximize the benefits of each workout. Enjoy running at the right pace and effort!